Kamal Haasan, who is actively campaigning for his newly made political party is also awaiting the release of his upcoming film ‘Vishwaroopam 2’. Kamal made Vishwaroopam in 2013 and the film went onto be a blockbuster on the box office. He directed the film and played main lead in it as it turns out, the venture was really successful. Vishwaroopam 2 is not complete as of yet for the release and post production work is going on. Exactly like the part one, this is being shot in Hindi and Tamil simultaneously as Kamal is aiming for a grand audience. 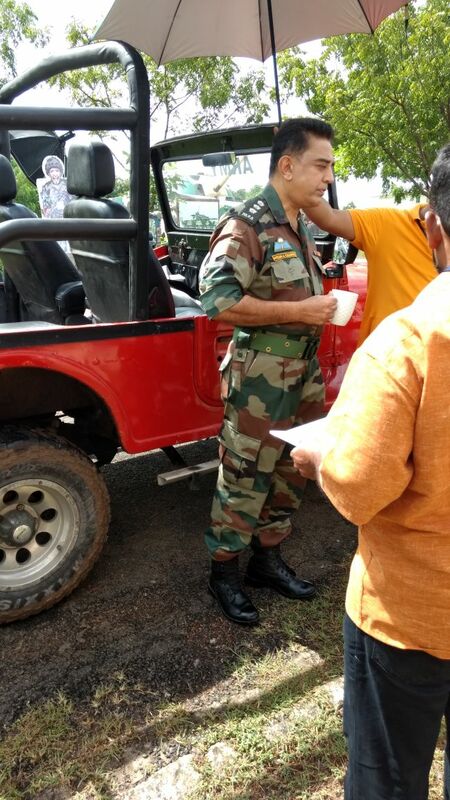 Picture that came from the set has him standing between the takes in an Indian army uniform since most of the film is set in India, Vishwaroopam was mostly shot in US but the heroes of that film will be serving the nation more directly now. Vishwaaroopam 2 was to immediately start the production after the release of the first part but due to severe production issues it got stuck for a really long time. 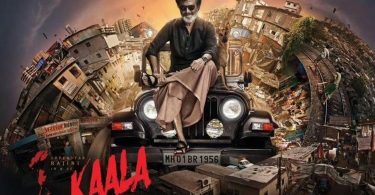 Project was later revived in 2017 April when Kamal decided to hold the baton of producer himself. Initially the film was planned to release on April of 2018 but makers have not made any such announcement considering that the expected release date is knocking on the door. Due to the strike in Tamil film industry, no films are getting a release anyway and are being shifted to coming months. It will be dubbed in Telugu to be released simultaneously. Kamal is a politician now though not in power and his eyeing for the position of chief minister in 2021 elections Tamil Nadu just like his colleague Rajinikanth. Hindi version of the film is being produced by Balaji head Ekta Kapoor and Shobha Kapoor. About forty percent of part two was shot with part one itself.